For almost twenty years, JT Painting Company has steadily grown their footprint in the Olympia area. With their proven success, owners Trever and Sarah Jacob decided to take things one step further by adding a second business, Rhino Linings of Olympia. Undertaking a completely new endeavor is not easy, and it did not happen overnight. During the past few years, their team has worked endlessly to grow the business. Now, with the recent addition of Operations Manager, Shawn Flanagan, Rhino Linings of Olympia is ready to go farther. “The business is at a point where we are growing and want to be intentional about it. Growth and expansion is now the focus for Rhino Linings. We’re going to push this until the wheels fall off,” Shawn says with a smile. 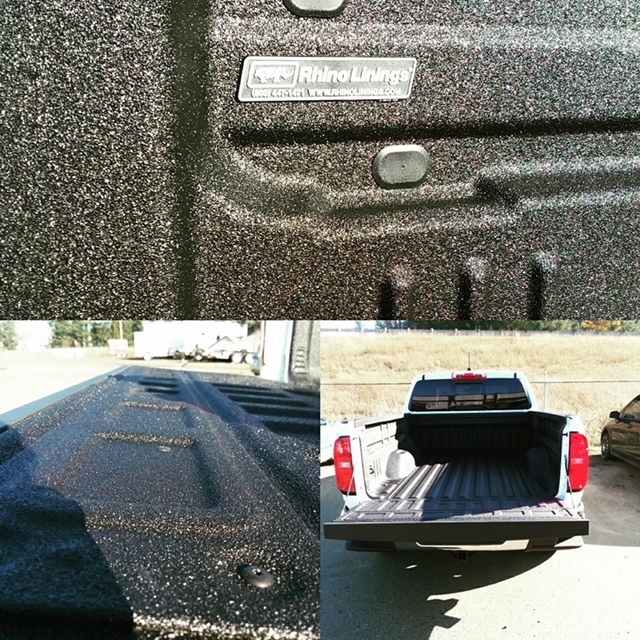 What is it about Rhino Lining that makes it so special? Shawn took me on a tour of their shop to give me all the details. It is a heavy-duty, protective coating that goes on with a glossy finish. Then, technicians carefully apply a light dusting which settles into the more texturized look most people want. “Rhino Lining can go on pretty much anything,” Shawn says. And, looking around, that is obvious by the way it clings to anything in its path. 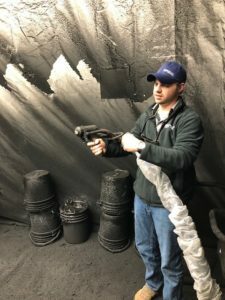 He adds, “It definitely takes a little bit of innovation, but really there are so many possibilities out there.” Since it is chemical- abrasion- and impact-resistant, Rhino Lining is a great solution for many different applications. The best part is, you are not limited by what you can bring into the shop. They have a mobile unit and will come to you. 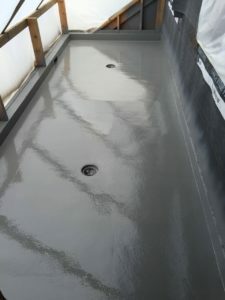 So, whether it is to spray that garage floor, backyard deck or pretty much anything else, they have you covered. “We really try not to say no, within reason. We truly pride ourselves on working with others and solving their problems.” Going above and beyond for their customers is what sets Rhino Linings of Olympia apart from everyone else. That service creates the happy, repeat customers they have built both businesses on. You can find Rhino Linings of Olympia at 911 Kaiser Rd. NW, on their website or on Facebook. They are open Monday through Friday from 7:00 a.m. to 5:00 p.m.